And what a voice it is. Deb Derrick was a very engaging speaker, I could’ve sat there all night listening to her and her stories in that beautiful venue. She got very personal with us and delved into her history and about the memoir she is writing. 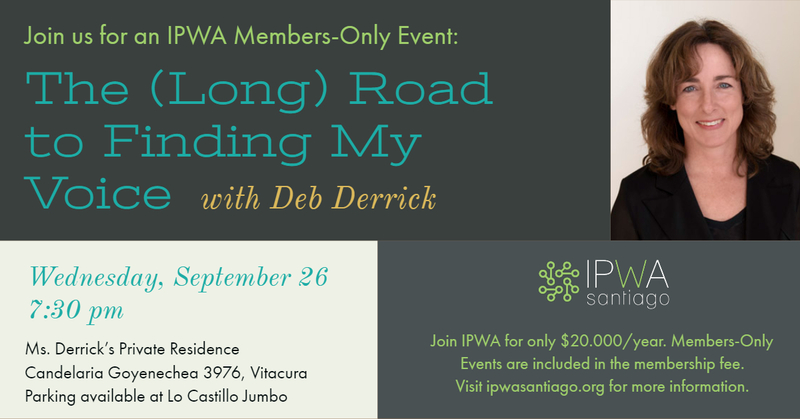 Deb had identified specific moments in her life where she was able to speak out and started to establish her voice. I was inspired not only by the hardship she has been through to end up doing the amazing things she has done, including being on the Bill and Melinda Gates Foundation, but just how she carries herself and the confidence with which she talks. Deb was also able to give us practical advice on finding our own voice and cultivating it. 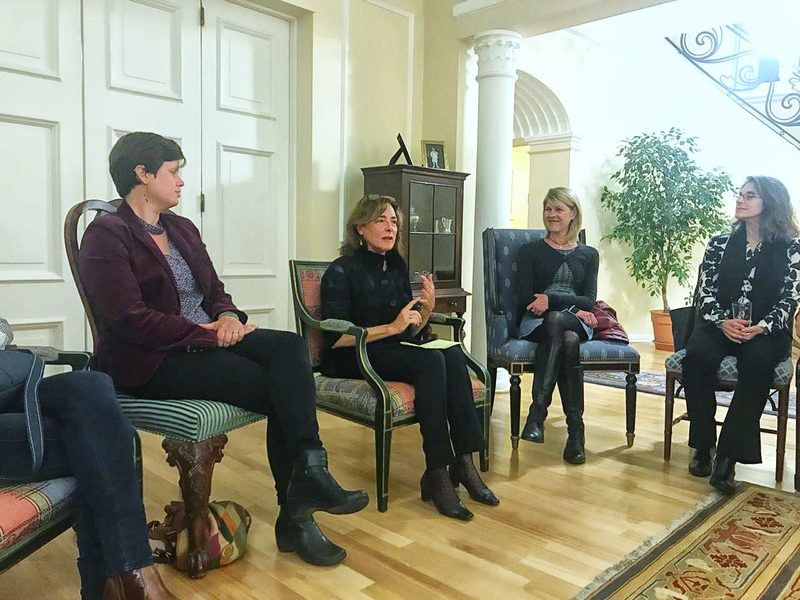 She also gave some insight into a shared experience that I think a lot of expat women in Chile go through, including myself, which is having to move because of her husband’s job and how hard that made finding her voice and what she wanted to do with her life. 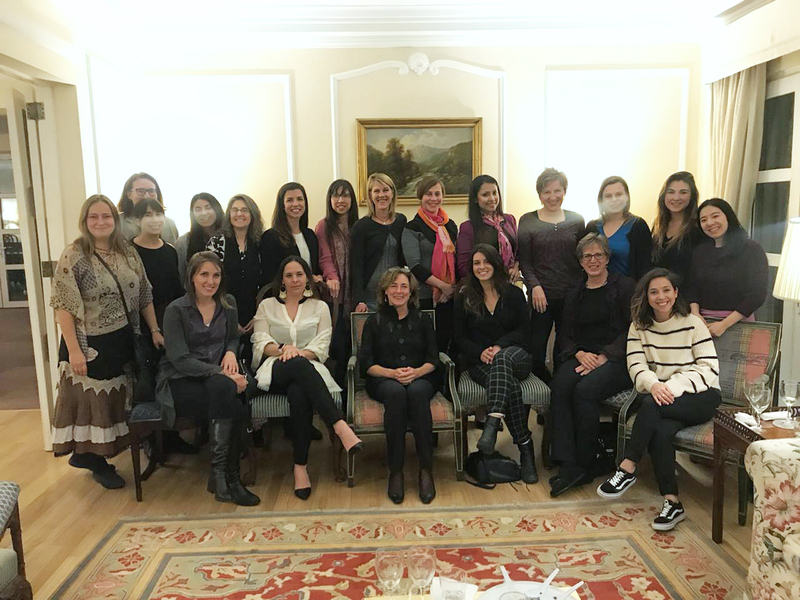 It was also wonderful to see around 20 other women there, and I was able to go around and speak with many of them, I just always wish there were more time to chat! 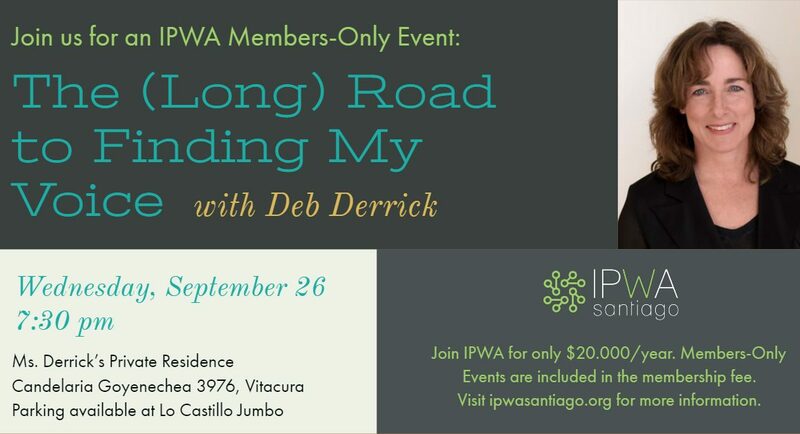 Thanks again for another great IPWA event, I’m looking forward to the next one.